Show of hands: who loves LEGO here? Given the colourful little bricks sell 7 sets every second, and there are more minifigures than any nation’s population, I’m guessing quite a few of you are reaching for the sky right now. I certainly am. LEGO was a huge part of my childhood, and I’ve still got tubs of the stuff crammed into my wardrobe. But that’s kind of the problem: LEGO is a space hog. Whether it be building or displaying it, it’s not exactly ideal for an adult life where space is at a premium. This is where the digital realm comes into play. You’ve got Minecraft, which is essentially digital LEGO with the benefit of endless space and unlimited blocks. You’ve got Scrap Mechanic, which encourages the kind of amateur engineering the LEGO Technic sets do. And you’ve got Beseige, which captures the joy of going all Godzilla on an unwitting LEGO castle. For me, the constructive side of LEGO is less compelling than the fantastical, which is why I go to the licensed LEGO games for my brick fix. Sure, they’re not the most complicated games in the world, and the formula has changed very little in the 10 years since Lego Star Wars, but that doesn’t bother me. I don’t play them the same way I do other games. It’s nostalgic junk food, plain and simple. In the LEGO games, I can smash bricks together as much as I want without making a mess. I can toy with the $100 T-Rex set for the 15 minutes I would in real life without dropping anywhere near that kind of dough. I can jump between enormous cities and dense jungles and sprawling space stations without converting my entire house to a LEGO emporium. The LEGO games tap into the innocent joy buried beneath layers of jaded adulthood, digitally enhancing my faded imagination. The virtual realm silences the cold voice of logic that reminds me that the cardboard box is not, in fact, a rocket ship. The world of wonder my brain can no longer build is laid out before me, and even though it is but a slice of the universe I roamed as a child, it is more tangible than anything I could construct alone. Adult life may have deprived me of the physical and mental space necessary to enjoy the plastic blocks to their fullest, but none of that matters in the digital ‘verse. 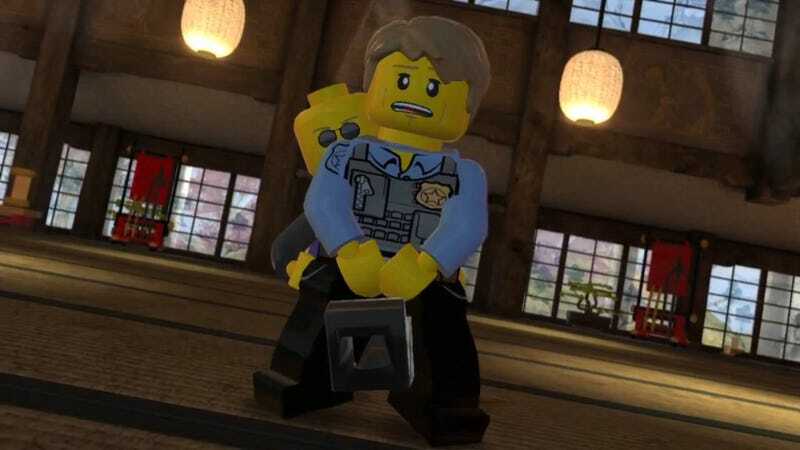 Some people may find the LEGO games simple and repetitive, but for me they’re a portal to the purity of my youth, to a time when reality was a suggestion rather than a rule. In the world of bits and bricks, I can be a kid again.